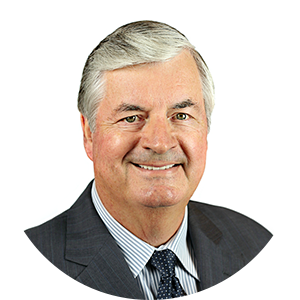 Scott Sutton has served as W. M. Jordan Company’s Director of Safety for 29 years. He holds a B. S. in Industrial Supervision from Purdue University and an M.A. in Guidance and Counseling from Ball State University. He is a Past President of the AGC of Virginia and has served on the AGC Loss Control Committee for more than two decades. Previously, he spent 20 years as a Squadron Flying Safety Officer, Director of Squadron Safety, and Nuclear Safety Officer for the United States Air Force. He continues his love of flying to this day as one of W. M. Jordan Company’s corporate pilots. Safety is one of the most important elements for any business. In the construction business, a safe work environment is essential. A strong safety program increases productivity, improves efficiency, and adds to the bottom line. Most importantly, an emphasis on safety helps workers avoid potential tragedy. 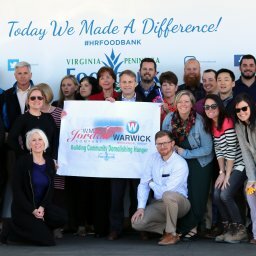 While the Virginia BEST program is unique to Virginia, the principles of the program are applicable to every work site, in any location. The model focuses on personal responsibility, voluntary engagement, and continuous improvement. This safety and health management system (SHMS) encourages and empowers workers to exceed minimum requirements and established regulations. 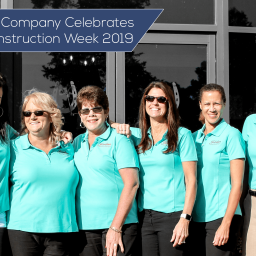 In cooperation with the Associated General Contractors of Virginia (AGC VA) and the Virginia Occupational Health and Safety board (VOSH), companies work together to encourage and mentor one another as they establish and maintain model worksites. 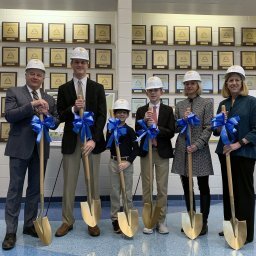 W. M. Jordan Company is the first construction company involved in the program, which has three levels. Level 1: Companies assess, learn, and develop their SHMS to meet current VOSH regulatory requirements. Level 2: Companies implement, track, and control the SHMS to exceed current VOSH regulatory requirements. Level 3: Companies reassess, monitor, and improve their SHMS to an exceptional level that serves as a model for other construction employers. W. M. Jordan Company is the first contractor to pursue the program. At Level 2, we are working to introduce subcontractors to the program. This raises the bar for everyone in the industry, not just W. M. Jordan Company. Key benefits are increased employee involvement, improved policies and procedures, reduced risk, and more qualified subcontractors. 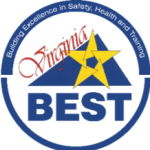 For more information about the Virginia BEST program, visit the BEST website.